Shout Out to all of the soon to be – 2018 Norwalk Public Schools High School Graduates! Congratulations to each and every one of you and we wish you all the best as you move on into the next phase of your life, whether it be college or career. Enjoy it and always remember that – You Matter! Shout Out to Fairfield County’s Pride in the Park 2018, produced by the Triangle Community Center (TCC). 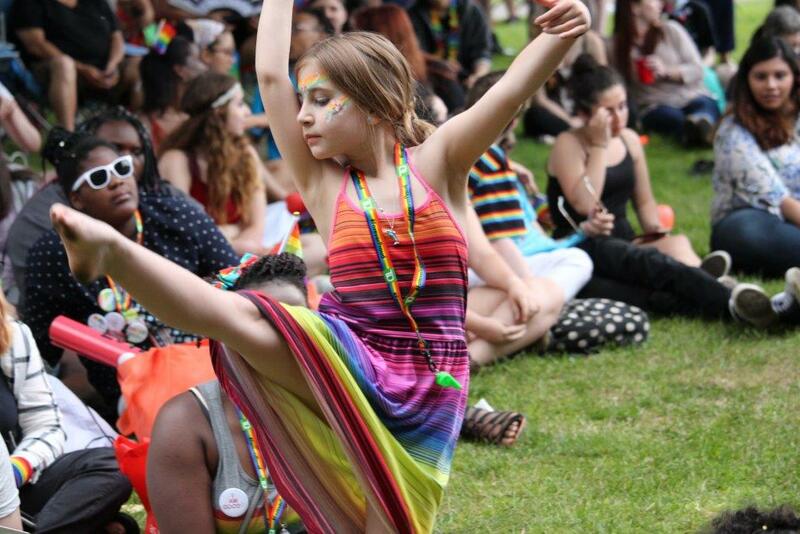 According to Anthony Crisci – TCC Executive Director – this year’s event, held on June 9th, was the largest Pride event ever held in Fairfield County attracting a crowd of close to 4,000 guests! TCC has prioritized using the event as an outreach opportunity for its own programs and services as well as an opportunity to promote the services its partner organizations can offer to members of Fairfield County’s LGBTQ community. The event’s presenting sponsor for the fifth straight year was Circle Care Center and the event also included more than 70 exhibitors including agencies such as Kids in Crisis, Trans Lifeline, Access Health CT, Open Doors Shelter, True Colors, AARP, Center for Family Justice, Stamford Cares, Boys and Girls Village, YWCA Greenwich, Planned Parenthood, the Workplace, PAWS, and the Center for Sexual Assault Crisis Counseling and Education. TCC, located at 650 West Avenue, has a new drop-in space, which offers a safe and affirming location in Norwalk for all young adults (18-25 years old) to receive social support and case management services including housing, employment, support with name-change documents, crisis intervention, and referrals. For questions, contact Claude at [email protected] or 203-853-0600 x 104. Thank you Anthony, Susan, Bob Welsh and Nancy for the coverage and support given, Norwalk shines because of you and others like you.